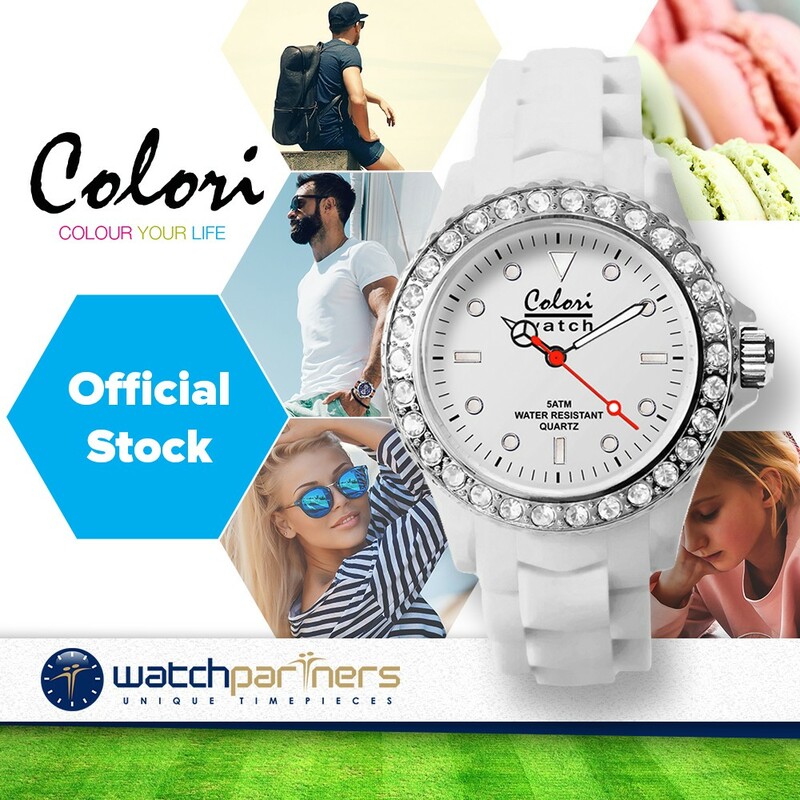 The Colori Classic Collection Watch is a really fashionable and affordable timepiece. With a stylish Polyamide case measuring 40mm this watch exudes modest proportions. 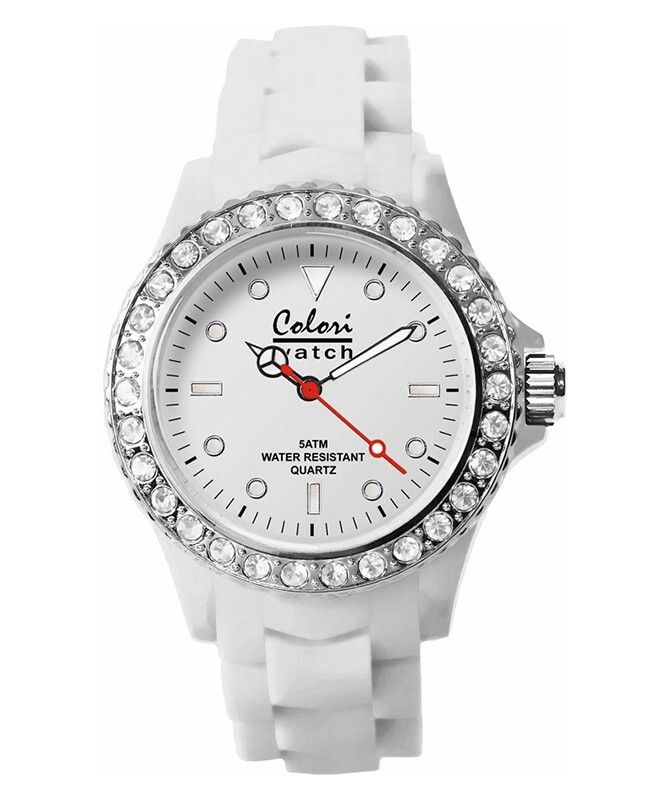 Interesting features include a sparkly Cubic zirconia set bezel (1 row), luminous white dial, mineral glass and white silicon strap. Beneath the vibrant exterior lies a Miyota quartz movement.